The buyer will enjoy brand new windows in this unit! Paid for by seller, this fulfills the AOAOÃ¢Â€Â™s window replacement mandate of January 2018. Phenomenal, artisan quality, remodeled home with magnificent, direct oceanfront views from 55 & 65 feet above the sea. Exquisitely furnished. Large 2-story floor plan. Interior has been enlarged with glass sliding door system. 2 master bedroom suites; one on upper level with his & hers baths and private crow's nest lanai. The interior staircase is a particularly gorgeous work of art, custom designed and hand-crafted by MauiÃ¢Â€Â™s finest artisans. Exceptional built-in, hand crafted wood cabinets, top quality fixtures, countertops, flooring, lighting, finishes. . . this is a COMPLETE remodel, including the kitchen and all 4 baths. There is no other property like this - though there are lesser quality properties at higher prices. This is a truly exceptional, immaculate, TURNKEY property. Wailea Point has gated entry & 24-hour roving security, two elaborate pool pavilion areas with a 25-meter lap pool, 2 whirlpool spas & full kitchens, tennis court, paddle & pickleball courts, contemporary fitness gym, barbeque areas and more. Golf-cart friendly property. Enjoy the luxury of Four Seasons and Fairmont Kea Lani Hotels as immediate neighbors and all the 5-star lifestyle they offer. Well-run AOAO. Quiet, private, low-density garden environment of exceptional quality in perhaps the world's finest location. 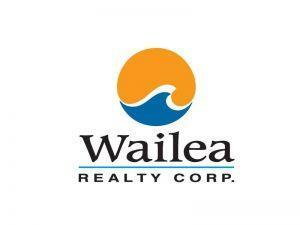 I am interested in 4000 Wailea Alanui Dr, Kihei, HI 96753 (Listing ID # 381164).